This inner hearing means two things. It’s about the sound of a single note, which should be open, full, etc. and it’s about the melody, the phrasing, the expression. The fundamental idea is, that if the sound is imagined correctly, the body will bring forth the correct movements – ideally without the musician consciously directing the movements. One could even say, that if the outcome is not as desired, one has to first and above all work on the inner hearing – not on playing technique. So one moves from the inside to the outside, from idea, imagination, soul to movements, which result in sound. There’s also the other direction, from the outside to the inside, so one practises certain movements, which are intended to produce the desired sound. In my opinion that’s also possible to a certain degree and also necessary. Sound production on the trumpet is really easy: even a child can get their lips vibrate. It’s primarily about “air in motion” (V. Chichowicz). This involves several details like inhaling, breath support, air pressure etc. All those details can and must be trained with special exercises. It’s important to keep in mind, that this will bring about results only, if the inner hearing, which coordinates all these details, is sufficiently developed. What we hear with our ‘real’ ears is then compared with the inner hearing. 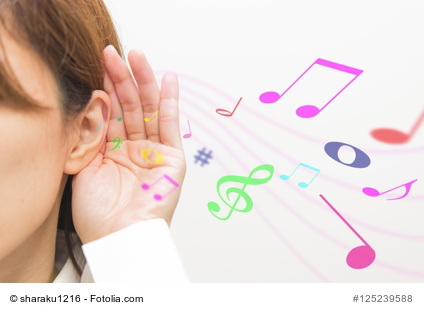 If it doesn’t sound as intended, the first task would be to refine, clarfy and intensify the inner hearing(! ), as this will lead to different movements. Then of course, the actual sound gives us also hints, which physical functions are not working properly and one can practice specific exercises to solve these problems. So actually there is no contradiction between ‘training details’ and the more holistic ‘letting happen’. It’s not either/or, because both can be used to make progress.